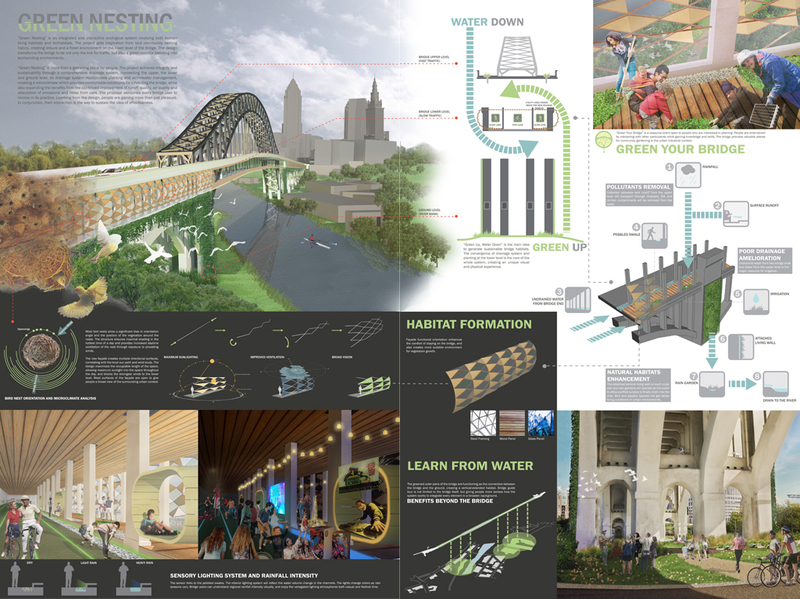 Overview: “Green Nesting” is an integrated and interactive ecological system involving both human living habitats and biohabitats. 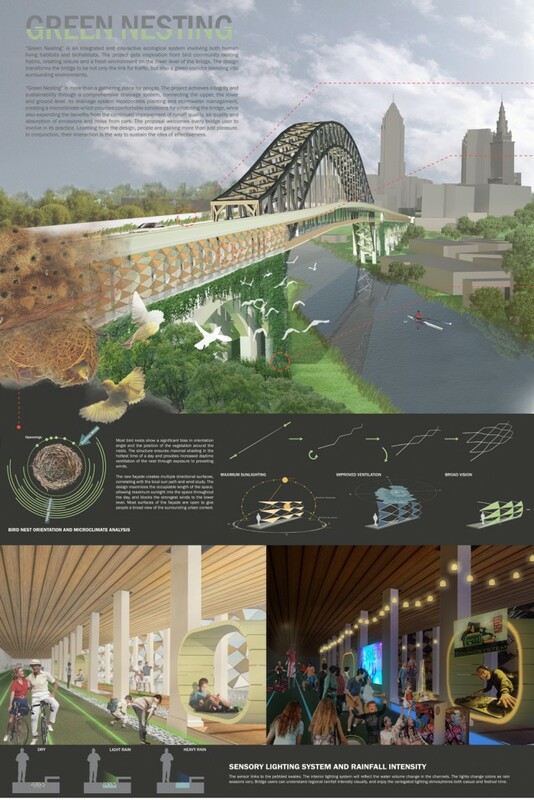 The project gets inspiration from bird community nesting habits, creating leisure and a fresh environment on the lower level of the bridge. The design transforms the bridge to be not only the link for traffic, but also a green corridor blending into surrounding environments. “Green Nesting” is more than a gathering place for people. The project achieves integrity and sustainability through a comprehensive drainage system, connecting the upper, the lower and ground level. 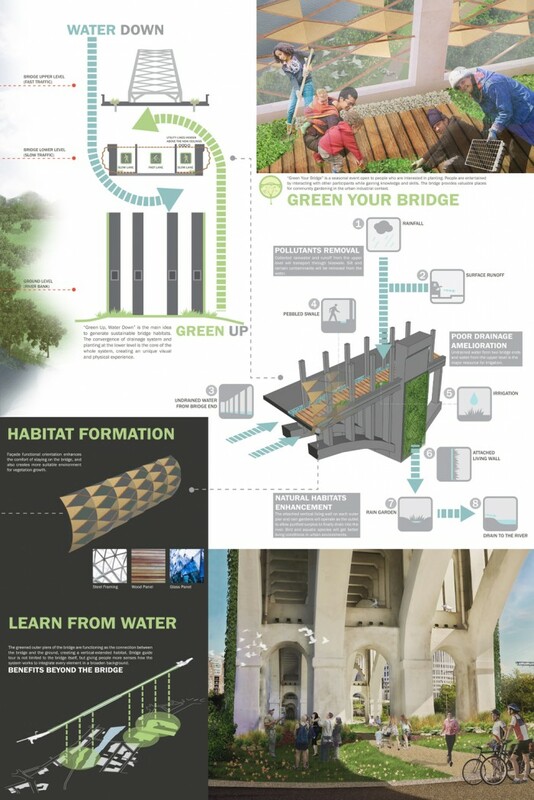 Its drainage system incorporates planting and stormwater management, creating a microclimate which provides comfortable conditions for inhabiting the bridge, while also expanding the benefits from the continued improvement of runoff quality, air quality and absorption of emissions and noise from cars. The proposal welcomes every bridge user to involve in its practice. Learning from the design, people are gaining more than just pleasure. In conjunction, their interaction is the way to sustain the idea of effectiveness.